Uganda will play the first leg of the 2019 Elgon Cup away to Kenya. This will be the first time that Uganda plays the first leg away from home, in three years. The game which will be played in Kisumu will take place on Saturday, the 22nd of June. This was confirmed by the Uganda Rugby Union (URU) through a press statement. “The Uganda RU is pleased to have its senior men’s VX team play the Elgon Cup in Kisumu, read the statement. “We look towards this fixture and will make the best out of it. However, the date for the return leg is yet to be confirmed, pending Rugby Africa decision on the hosts for Gold Cup games. 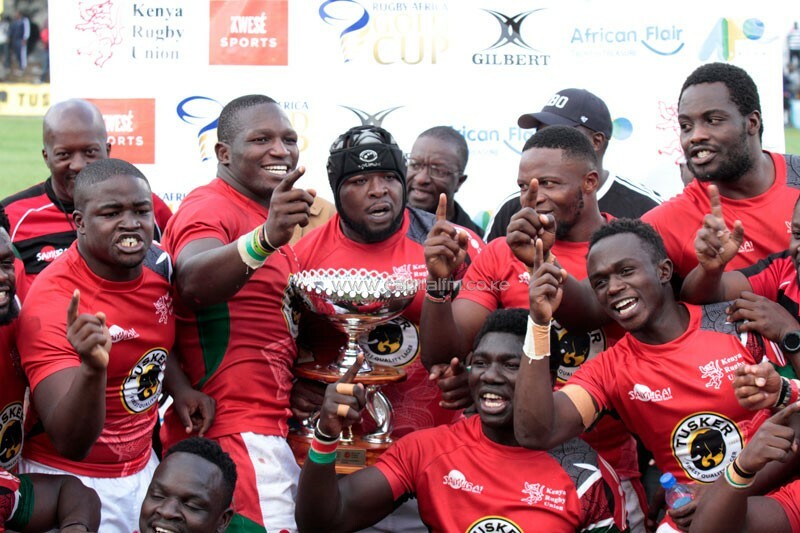 There was reported friction between Kenyan Rugby Union (KRU) and URU at the start of the year with the Elgon Cup in doubt but now, all is clear for the annual event. Last year, the Kenyan Simbas swept aside the Rugby Cranes 34-16 in the first leg before completing the task 38-22 in Nairobi. What is the Elgon Cup? The Elgon Cup is contested between the rugby union teams of Kenya and Uganda. The men’s and women’s teams of these countries each compete annually for their respective cups on a Home-and-Away basis. The competition and the cups are named after Mount Elgon, a mountain on the border of the two countries. The men’s competition started in 2004 while the women’s Elgon Cup followed it a few years later, starting in 2006. The Elgon cup has now been subsumed into the recently instituted Victoria Cup; just as the Bledisloe Cup (Australia and New Zealand) Freedom Cup (New Zealand and South Africa), and Mandela Challenge Plate (Australia and South Africa) have been subsumed into the Tri Nations and as the Calcutta Cup (England and Scotland) and as is now part of the Six Nations. Home matches for Kenya are usually played at the RFUEA Ground, Nairobi Kenya, whilst Uganda usually play their home matches at the Kyadondo Grounds, Kampala, Uganda. The women’s games generally serve as a curtain raiser to the men’s games. The first official match between Uganda and Kenya took place in 1958, when Kenya (then Kenya Colony) travelled to play Uganda (then Uganda Protectorate) in Kampala. Kenya beat Uganda by three goals and two tries to one goal, one penalty goal and one try. In 1958, a try was worth three points, so the final score was 11 – 21.